Latest work Outdoor sculpture or installations Installations Other media Our c.v. Sonja's c.v. The Sheep Farm, Tahora, Taranaki, Aotearoa | New Zealand. A triad of branches from a dead tree branches creates a space for one or more. 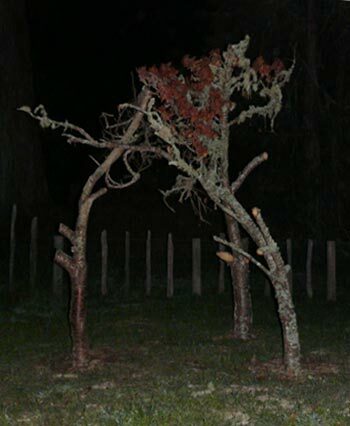 Oratory at Tahora, 2013, Tahora High-country Sculpture, Taranaki, New Zealand | Aotearoa. House of Worship, 2012, Leiden, The Netherlands.